You can create several rules. Each rule has own restrictions and priotity. 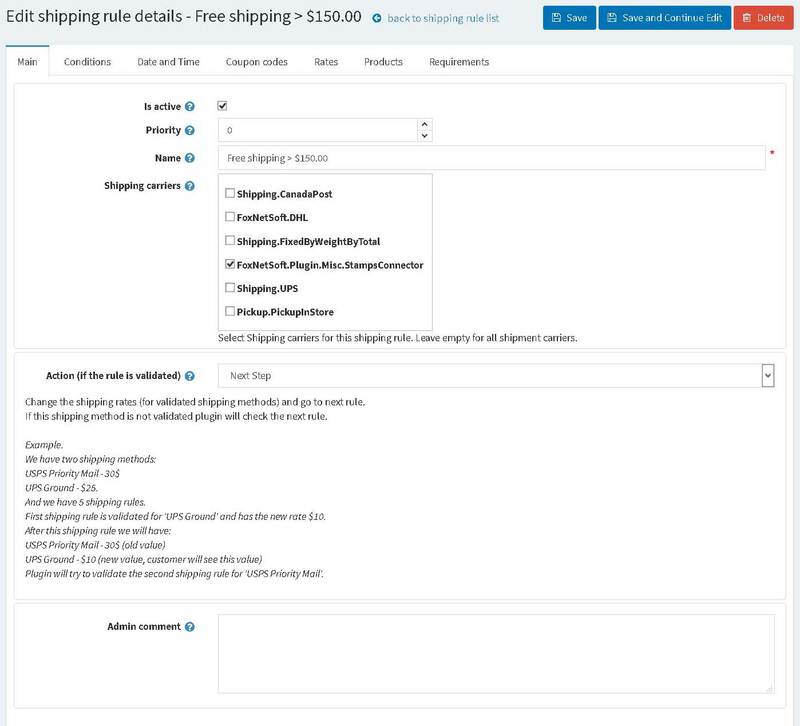 If all rules aren't validate than plugin will display all old default shipping methods and fees. You did rule for USPS Priority Mail. 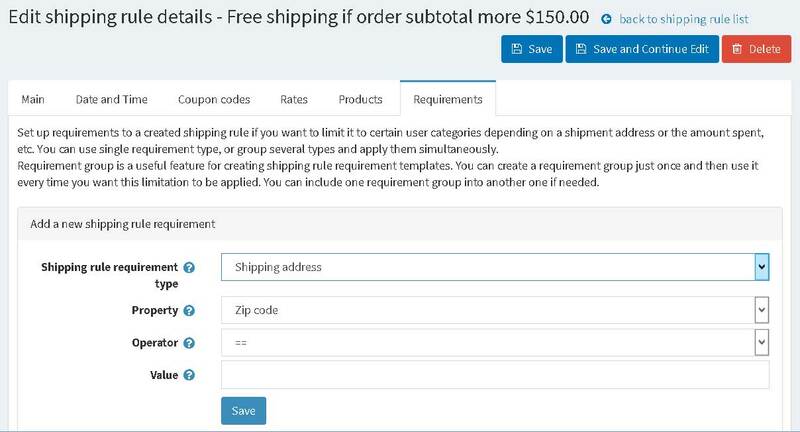 This rule changes rate for this shipment method. If you have another shipment methods plugin will leave them with old values. Take one rule and open it. You will see main settings on the first tab. Open the second tab you can set the start and end date or time of activity of this rule. 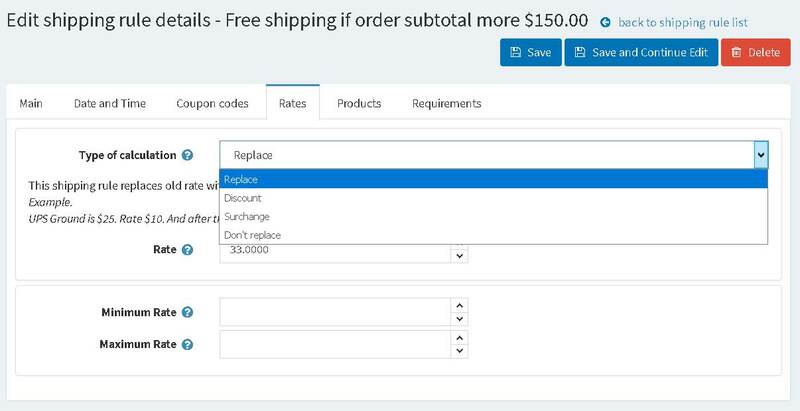 You can configure Free Shipping for all orders from weekends. 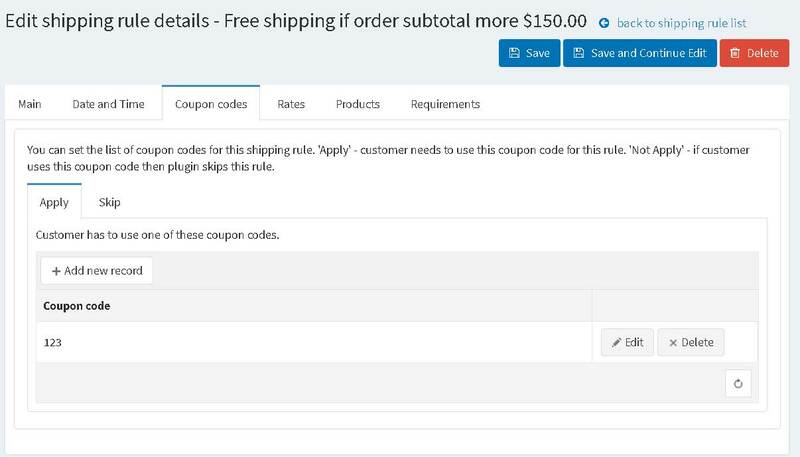 Open the third tab you can set the list of coupon codes of this rule. Open the fourth tab you can set the method for new rate for this rule. You can configure new rates for this rule (Replace, Discount, Surcharge). 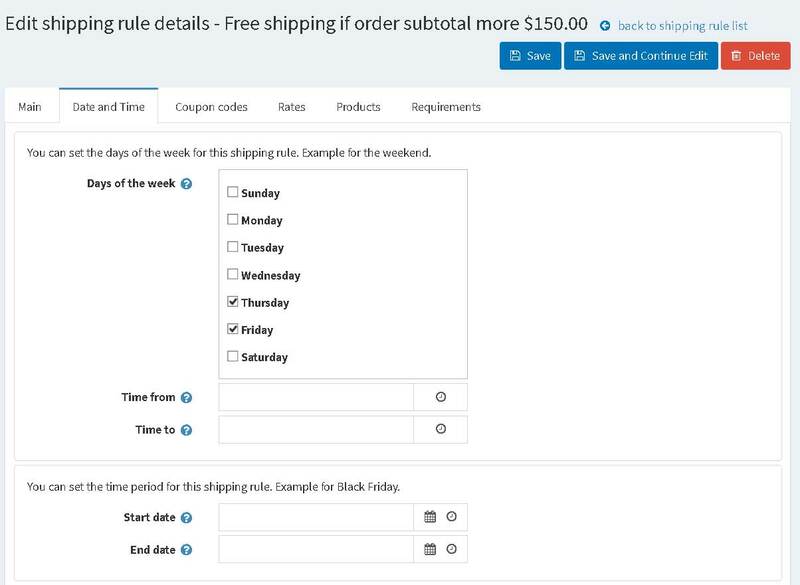 Open the fiveth tab you can set the list of products (with product attributes) for this rule. If customer purchase one product from this list he will get a discount. Open the sixth tab. You can complicated restrictions and add several restrictions in one group. 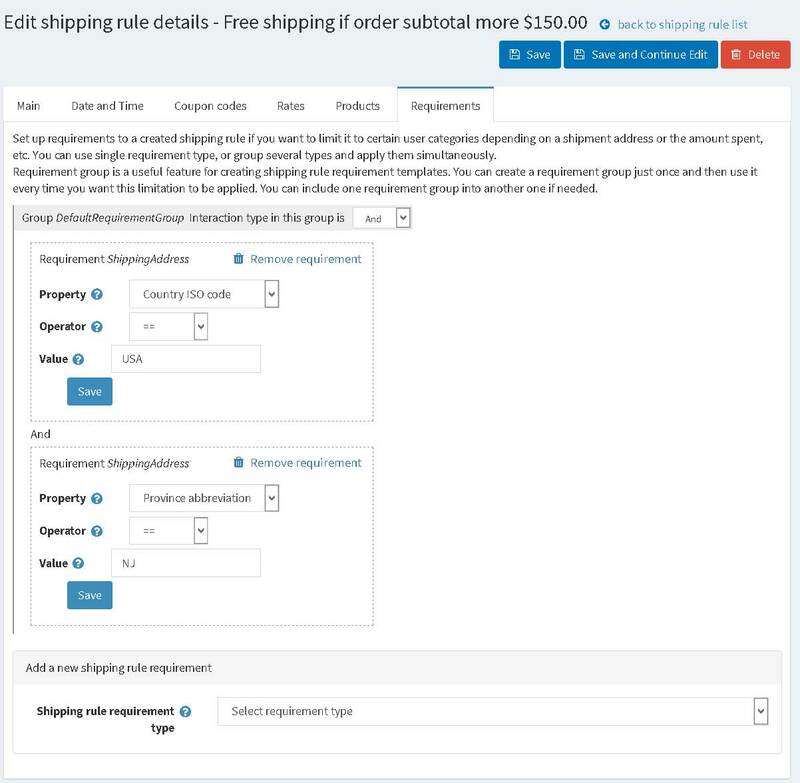 You can add restriction using billing and shipping address. 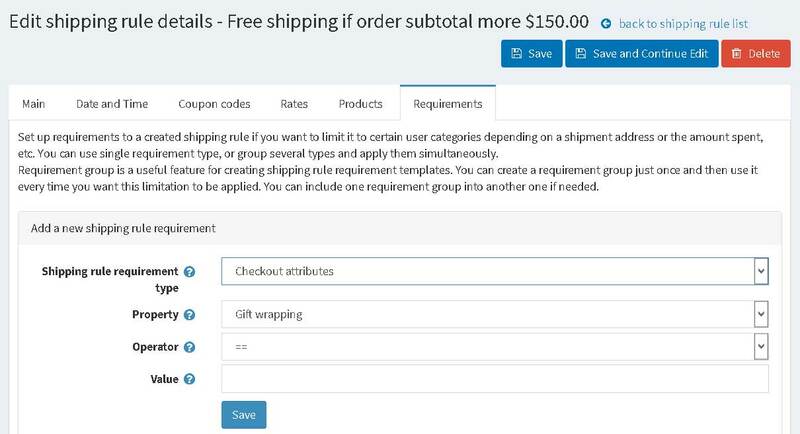 You can add restriction using checkout attributes. You can add restriction using order amounts. You can add restriction using product specififcations. You can add several restrictions.